Jenal Dhar is currently studying a Masters of Business Administration. In 2018, she completed her exchange to the European Business School. She spent two weeks in Wiesbaden and one week in Berlin, Germany. 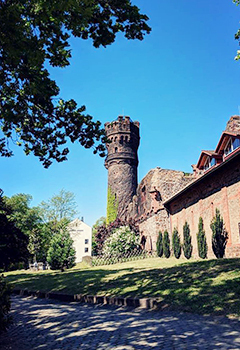 While in Germany, Jenal took subjects that focused on topics such as the European Financial Landscape, Corporate Decision Making, and Business and Leadership in Europe. 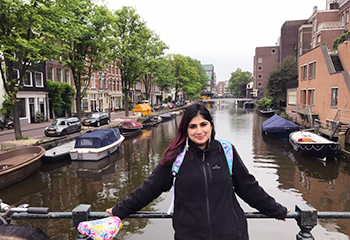 When speaking of some of the highlights of her exchange, Jenal reflected on her time travelling to Amsterdam and France. Jenal learnt how easy it is to bond with people from different countries and backgrounds. Jenal is currently an IT Manager, which she chose because she loves management and has experience in Computer Science thanks to her degree. In the next six months, she hopes to learn more and set the foundation for her start-up. She hopes to visit Scandinavian countries in her future travels. Are you an MBA student interested in pursuing an exchange like Jenal? Students should speak directly with their Business School advisor regarding eligibility. 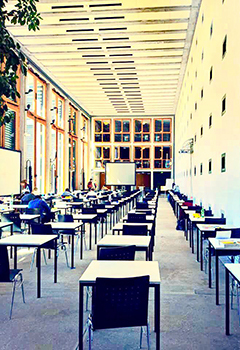 Current partner universities available to be considered for an MBA exchange include Aalto University, the European Business School, Kedge Business School, and Leipzig Graduate School of Management.